Charities receive about 41% of their yearly contributions in December, as reported by the United Way. 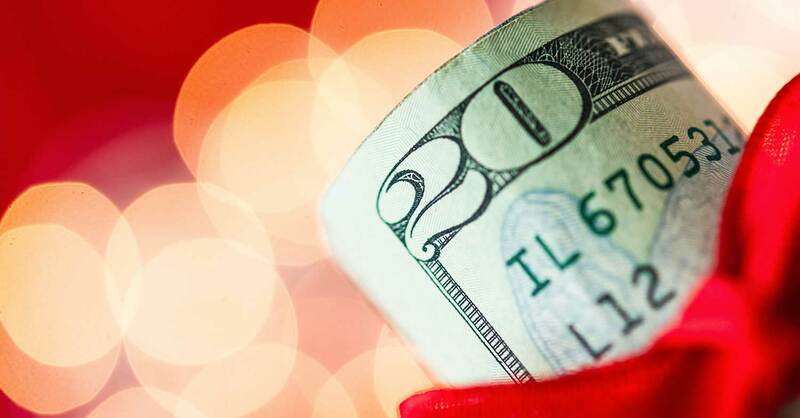 If giving generously is part of your upcoming holiday plans but fitting a giving category into your budget is new for you, here are some tips to help get you started! 1. Put giving at the top of your budget. When making a monthly budget, setting aside money to give helps you be a part of something bigger than yourself. It also helps you focus more on the rest of your spending. By giving first, you won’t worry about whether or not you’ll have enough left over to give. 2. Start small before giving big. We recommend giving 10% of your income. If you aren’t able to give 10%, it’s no big deal. You can work up to that amount! Give a smaller percentage or a set dollar amount to get yourself started. As it becomes more of a habit, bump up the bucks you contribute. That helps you balance the impact of giving on the rest of your budget. 3. Free up your income. Many people say “When I have more, I’ll give more.” One way to have more for giving is to get rid of your debt payments. If you currently have a $300 car payment, use the next year to focus and pay your car loan off. You’ll be amazed at the impact you can make with that extra money to give! There will be more meals provided for those in need and more ‘Make a Wish’ wishes granted. 4. Volunteer with your charity of choice. Volunteering is huge—the Corporation for National and Community Service says one in four adults volunteered through an organization in 2013. Imagine what would happen if everyone who volunteered also gave $50. When you pitch in some time with a charity you support, you’re more likely to set aside money to help. Serve at a homeless shelter, and you’ll see firsthand what that $50 can do to fill a pantry or replace old tables and chairs. 5. Use a combination of your money and skills. A good cook can boost their grocery budget and invite a struggling friend over for dinner as a pick-me-up. If carpentry is your thing, offer to build a ramp or some shelving for an elderly neighbor. Give with your gifts. It’s a great way to see, face-to-face, the impact you make on another person’s life. Whether your favorite cause involves a red cross, a Samaritan’s purse or just some goodwill, make room for it in your EveryDollar budget. Giving changes people’s lives—including yours! Create a free EveryDollar budget (with giving at the top!) in less than 10 minutes.